I recently spent a week at Angkor Hospital for Children in Siem Reap, Cambodia with Francesco Caruso, director of ADMCF’s Children at Risk program and Ryan Glasgo, our new finance director. Both are working hard to help bring the hospital to the point where it can become a fully Cambodian institution. When the hospital was founded in 1999 by Japanese photographer Kenro Izu and then was nurtured into being in partnership with an American board as a free pediatric hospital, Cambodia was a very different place. Now there is a growing middle class, many of whom would be fully able to pay something for medical care. AHC for now, however, is still entirely free to any Cambodian child. At the same time, the hospital in 2012 has a talented and dedicated medical and administrative staff that is fully capable of taking the hospital forward. There is now an almost entirely Cambodian staff of 149 nurses and 46 doctors, including AHC’s executive director. Only two doctors and two nurses are foreign. 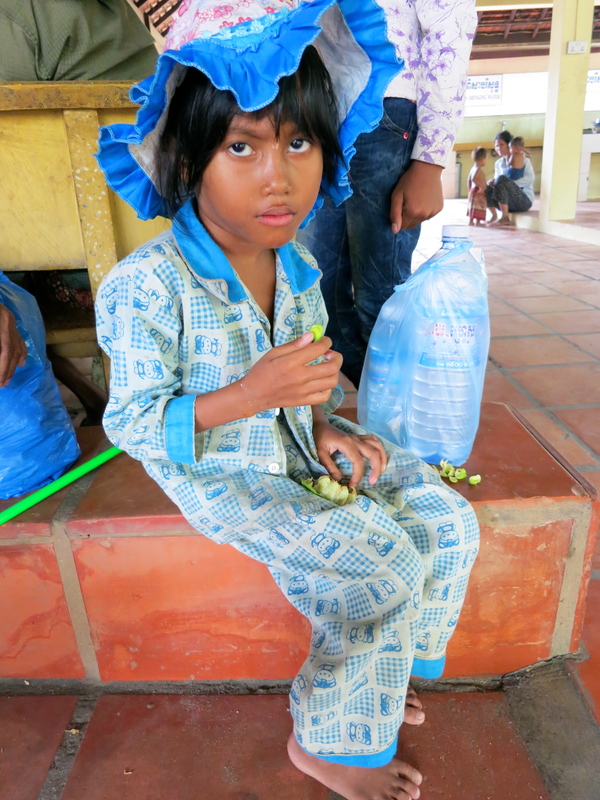 Last year, the hospital treated more than 150,000 children for illnesses ranging from acute diarrhea to tuberculosis. The Outpatient Department sees between 400 and 600 patients daily, while the Inpatient unit of 40 beds is almost always full. An emergency room has eight beds, four of these in a separate isolation ward. There are plans to build a separate neonatal ward since on any day 10 of the patients are babies and many have suffered birth trauma or are premature. Surgeries in the one operating theatre range from hernias to heart repair. 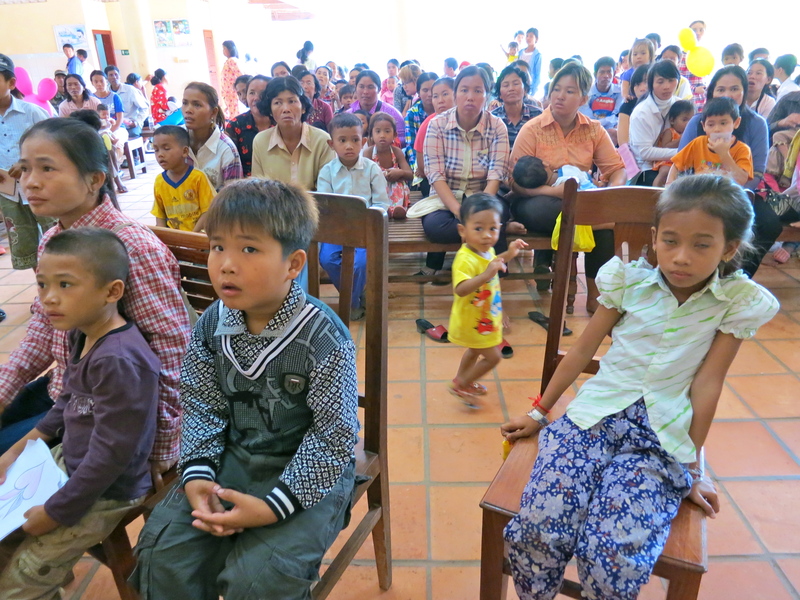 A pediatric Satellite clinic that is part of the government hospital in Sotnikum, 35 kilometers from Siem Reap, last year treated 12,300 Children. The Satellite staff works closely with the government hospital to build the quality of care offered there, with a focus on assisting the lab, X-ray unit and pharmacy, which the clinic shares. The clinic also has installed an emergency button in the delivery room to summon a Satellite doctor to assist any baby in distress. 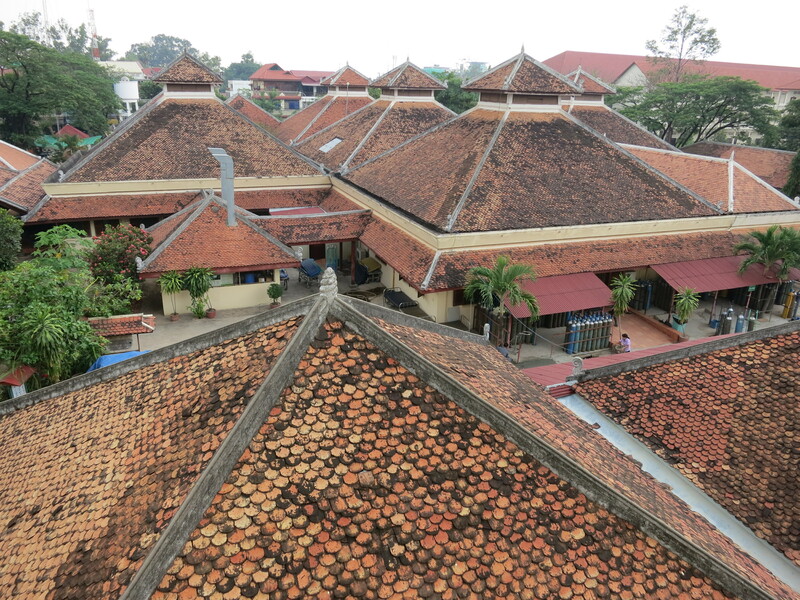 AHC also has become northern Cambodia’s premier pediatric teaching facility. The Medical Education program includes a three-year residency program for every doctor who joins and then on-going internal education and fellowships abroad. ME also offers internships and trainings for medical staff from other hospitals. 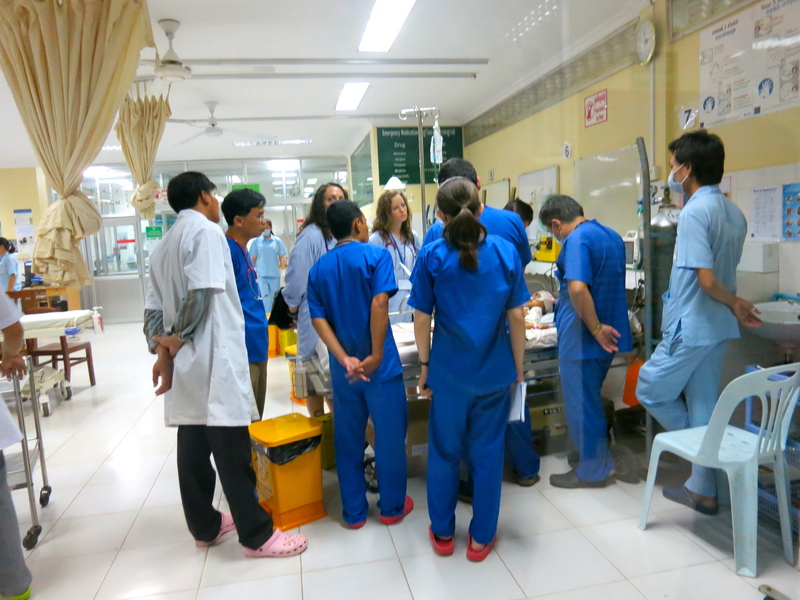 “What we are developing is to be shared,” the hospital’s executive director, Dr. Bill Housworth emphasized, explaining the hospital’s full engagement via the AHC External Program with both the Ministry of Health in Phnom Penh and directly with many of Cambodia’s government hospitals. The AHC Capacity Building program works with rural Health Care Centres and communities to provide education on nutrition, hygiene, sanitation and relevant disease – some of the main challenges for the AHC patient population. The hospital, Satellite, Medical Education and CB programs together cost US$4.5 million last year. This amount is covered almost exclusively by donor funding and is a challenge for the hospital to raise each year. 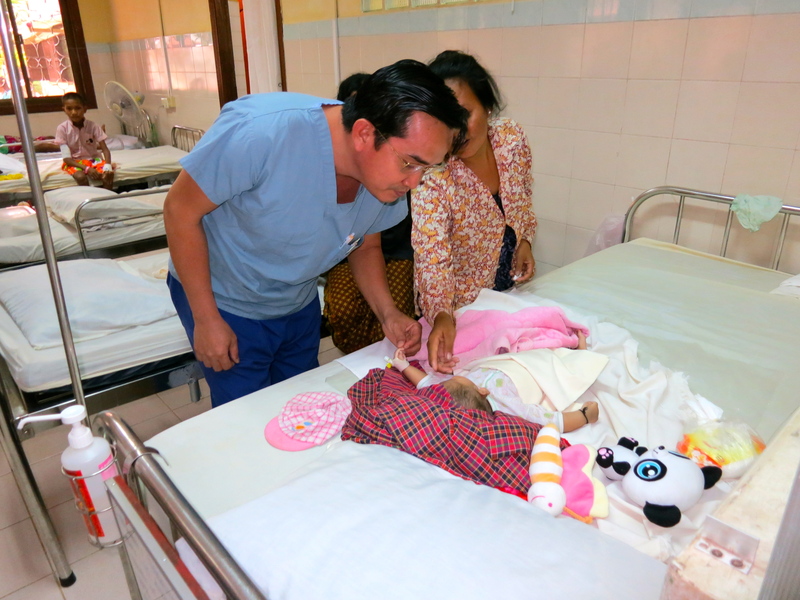 Consequently, AHC is of necessity looking at revenue-generating programs and already for a fee provides hospital services to the children of some local NGO workers and airport staff in Siem Reap. 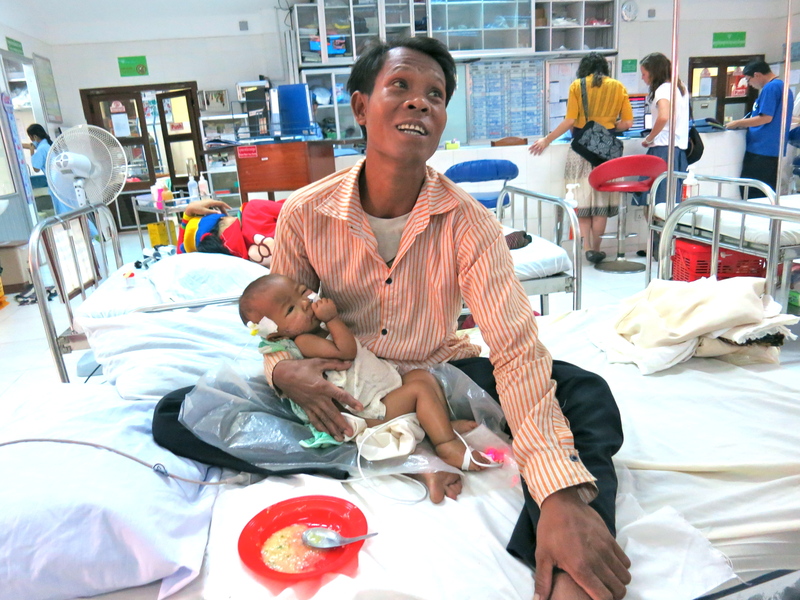 Although public hospitals are not free in Cambodia, about 30 percent of the rural population has what is known as a Health Equity Card, which establishes that they are poor and reimburses some of the medical costs and travel expenses to get to the hospital. But even then, it is not uncommon for doctors and hospital administrators to ask patients for payment ahead of treatment. 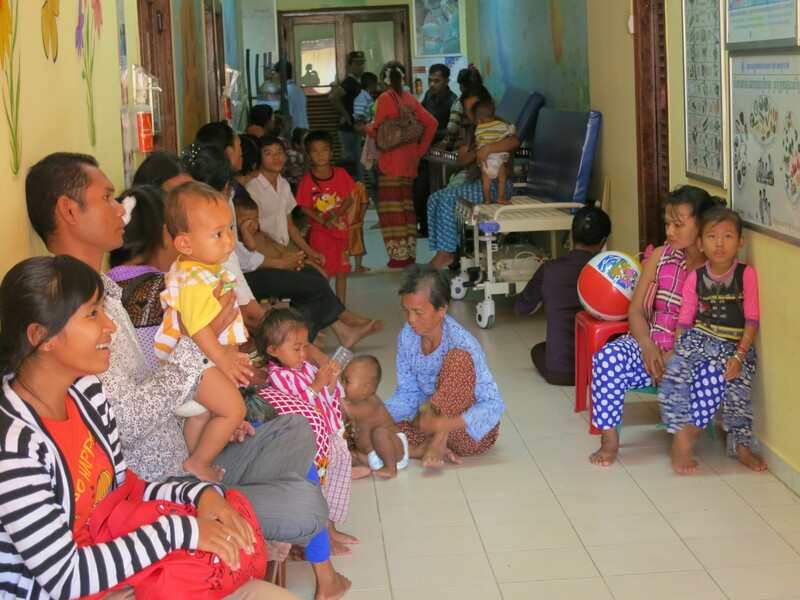 Private clinics are expensive and don’t necessarily provide a better quality of care, underlining the importance of a hospital like Angkor for the population that just cannot pay medical costs. 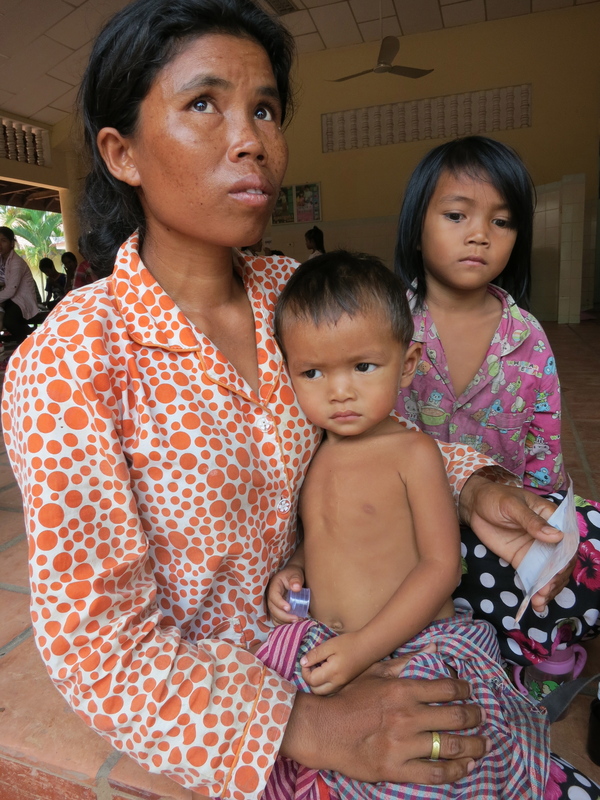 Research shows that the most common reason for impoverishment in Cambodia remains emergency healthcare costs, which force families to enter an often unending spiral of debt. For families who have a child with a chronic disease, healthcare costs can be devastating. In Cambodia, an average of one in 20 children die before their fifth birthday, compared to a rate of one in 120 found in developed nations, according to UNICEF. And four children out of five live in rural areas, where the mortality rate is much higher at 64 deaths per 1,000 live birth. Government census data shows that in 2010, 40 percent of children under five were too short for their age, stunted by malnutrition. Roughly 30 percent of Cambodians live on less than $1.25 per day, which the World Bank has established as the poverty threshold. Indeed, Siem Reap province, better known abroad for its 11th century temple complexes and lavish hotels replete with Western tourists, has the third-highest poverty rate among the Cambodian provinces at 52 percent. For a province of 1 million people, the total health budget of Siem Reap this year is about $2.8 million, according to provincial health officials, and almost two-thirds of that represents support from large foreign government donors. None of that makes its way to AHC. Clearly, part of the problem with provincial hospitals is that the government can afford to pay only low salaries to its health workers. Thus doctors, who might earn as little as $100 a month, often supplement their incomes with private clinics that take precedence over any hospital care. 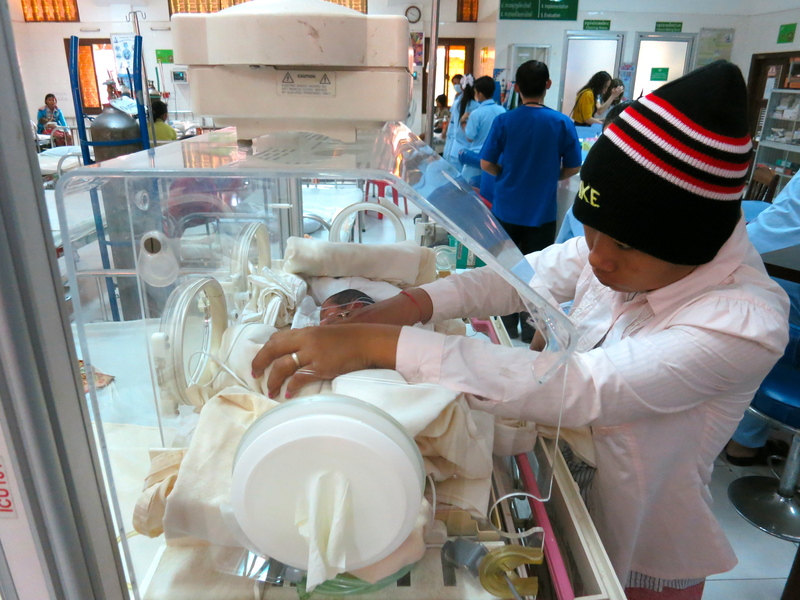 Still, Cambodia is making headway in medical care on offer, in part with the support of AHC. Part of the problem is the legacy of destruction leftover from the 1975-1979 Khmer Rouge rule, when medical professionals and other educated people were singled out for slaughter. In all, an estimated 1.7 million people were killed or died from forced labor, starvation or disease over the period. When they marched into Phnom Penh and other cities, the Khmer Rouge emptied the hospitals, eliminated the doctors and then left the care of sick and injured to untrained young soldiers who favored traditional Cambodian remedies over Western medicine. By the time the Vietnamese ejected the Khmer Rouge from power, there were only an estimated 40 doctors left in the country. Decades of war and isolation followed, leaving the medical infrastructure in shambles. In the 1990s, NGOs simply took over the health care system without trying to build anything indigenous, and change only began in earnest with the end of the Cambodian Civil War in 1998. Angkor Hospital is working hard to be part of the solution.